LEAMINGTON had a frustrating Saturday afternoon as the wet weather curtailed their important Birmingham League Division One clash away to Brockhampton. With Spa third-from-bottom, just one place above their Herefordshire hosts, the fixture was seen as a pivotal point in the season. But despite the best efforts of both sides, the match was abandoned. In the two hours of possible play, Leamington were asked to bat first and made a good start, reaching 71-1 through Jon Wigley (24), Luke de Souza (17) and Waqar Ahmed (39). Brockhampton’s change bowlers brought them back into the match, though. Freddie Cross earned two wickets in a long spell and the occasional off-spin of Worcestershire star Daryl Mitchell accounted for two more. However, the forecast rain set in with Leamington at 118-5 and no further play was possible. Both sides took seven points, leaving Spa 17 ahead in the relegation fight. 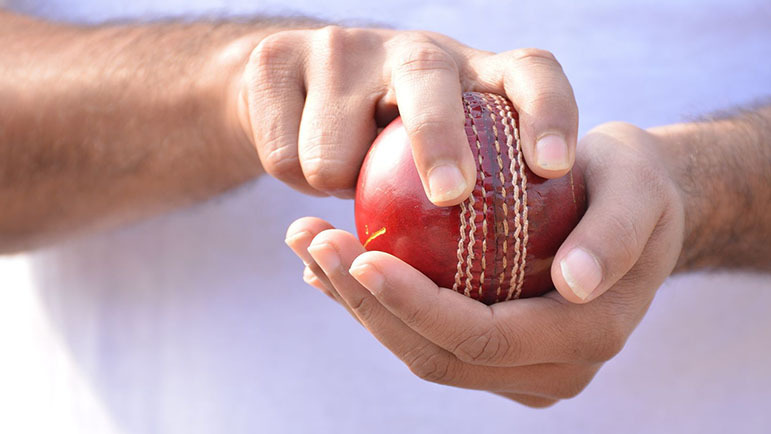 In the reverse Premier Division Second XI fixture at Leamington, Brockhampton snatched a winning draw in a reduced overs match. Leamington lost the toss and batted first, with opener Dave Hawkes (7) departing early doors after being trapped LBW. In-form Max Lion was joined by 14-year-old Ibby Afzal and the score rattled along before Lion played on to Toby Abernethy for 29, the first of four victims for the Aussie. Afzal and Nick Couzens carried on, but the scoring rate slowed as the experienced Glyn Harrhy found some turn on a dry wicket. Afzal made 33 and Couzens an excellent 73. A rain delay of almost two hours did not help Spa as the hosts spluttered somewhat, ending their innings on 232-9. Despite the rain, the wicket remained good and Brockhampton’s target for a winning draw was 127 in 20 overs. Leamington’s bowlers were unusually off colour and the fielding not up to usual standard yet the match remained in the balance. Two wickets each for Joe Midgley and Jason Butler could not swing the match Leamington’s way and Brockhampton secured a winning draw after reaching 134-5. The Thirds beats Ashton-under-Hill by five wickets in Cotswold Hills Division One while the Fourths lost by seven runs to Adlestrop in Division Three. On Saturday, the Firsts and Seconds take on Tamworth, the Thirds travel to Kineton while the Fourths entertain Mickleton.